This tri-color pigment ink delivers laser-quality sharp text and bright, vivid colors for all your everyday, plain paper prints. Prints are fade-resistant and water-resistant so they're sure to last. 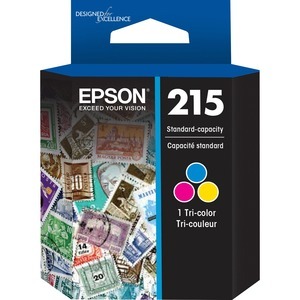 Plus, this instant-drying ink means you can share prints with clients and co-workers immediately after printing from your Epson WorkForce 100. The ink is part of a two-cartridge system - one Black and one Tri-color - making it easy to replace, even on-the-go.